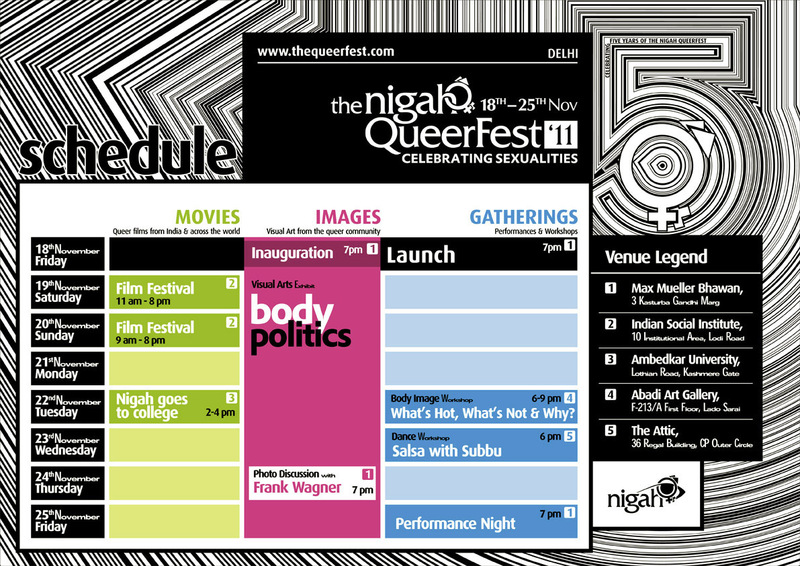 We are proud to announce the 5th Nigah QueerFest from 18-25 November, 2011! With films, visual art, performances, talks and workshops in venues across the city, this year more than ever we celebrate that a community can support and sustain its own festival! Please join us for the inauguration of NQF '11 at the opening of our visual arts exhibition: 'Body Politics’. Welcome to your own festival!